This pizza, well, it’s sort of rocking my lunch routine in a very good way. We eat lunch at home nearly every day. Which is good. But, ruts are easy to get into. You know? Like, the sandwich rut, for example. That is why this pizza is so great. You make up a bunch of dough…I suggest this one. Then, you put the dough in the refrigerator for several days. Then, use this recipe from Dinner: A Love Story to make your pizza. The genius part is that you use a cast iron pan. Any toppings work. 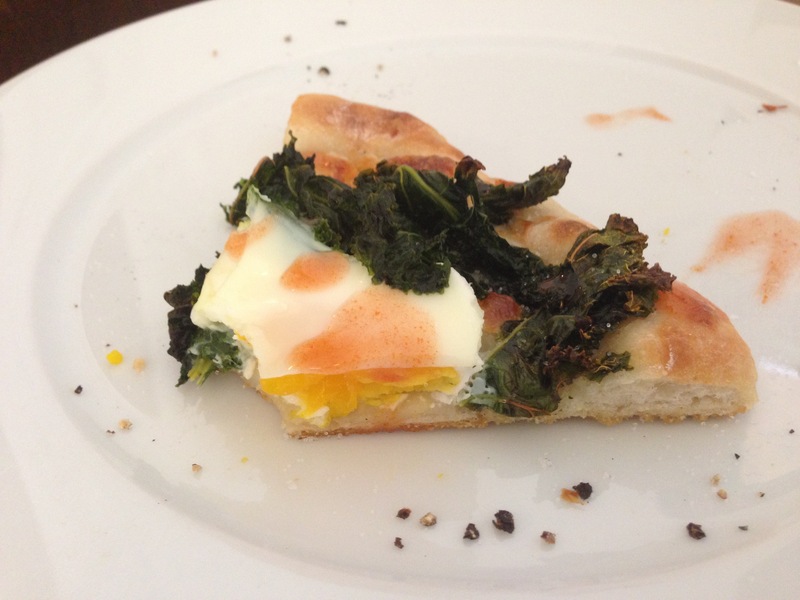 You can do kale and mozzarella with an egg on top. You can do Hawaiian with pineapple and BBQ sauce. You can do a plain cheese one for any picky people that hang around. That’s the beauty of making individual pizzas. And, they cook so quickly. Truly, it probably takes less time than making a panini. So, if you are bored with your lunch and want to try something that is new, economical, and really tasty, go ye therefore and make some of this dough and find your cast iron pan.